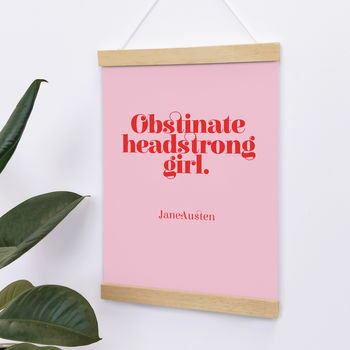 A beautiful typographic poster in pink or navy blue, featuring an empowering quote from Jane Austen 'Obstinate headstrong girl'. A beautiful print for a little girl's bedroom, or for a grown-up girl too! 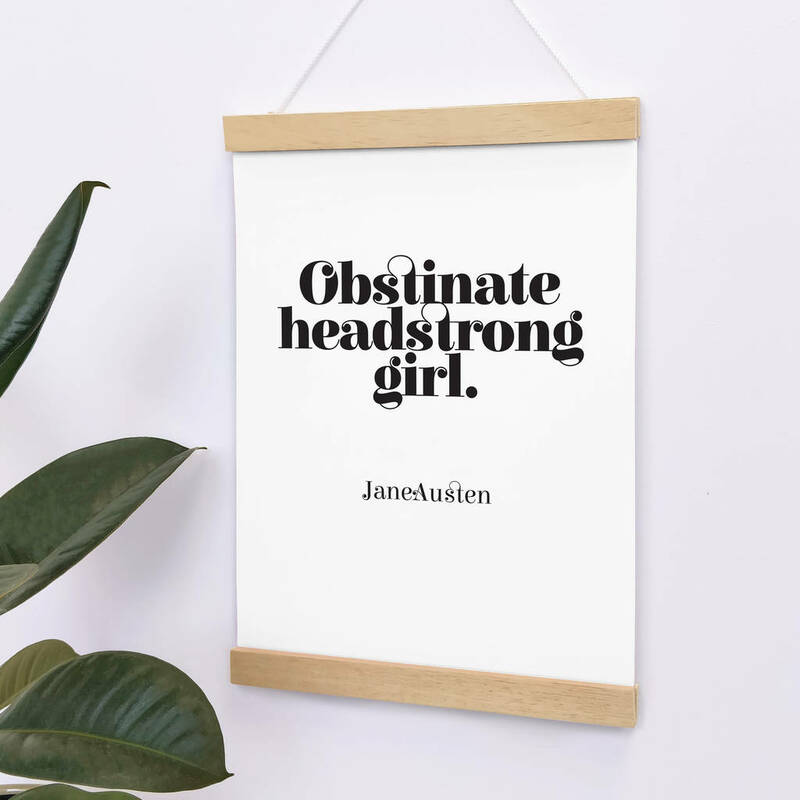 Lady Catherine's opinion of Elizabeth Bennet in Pride and Prejudice can now ne displayed with pride! 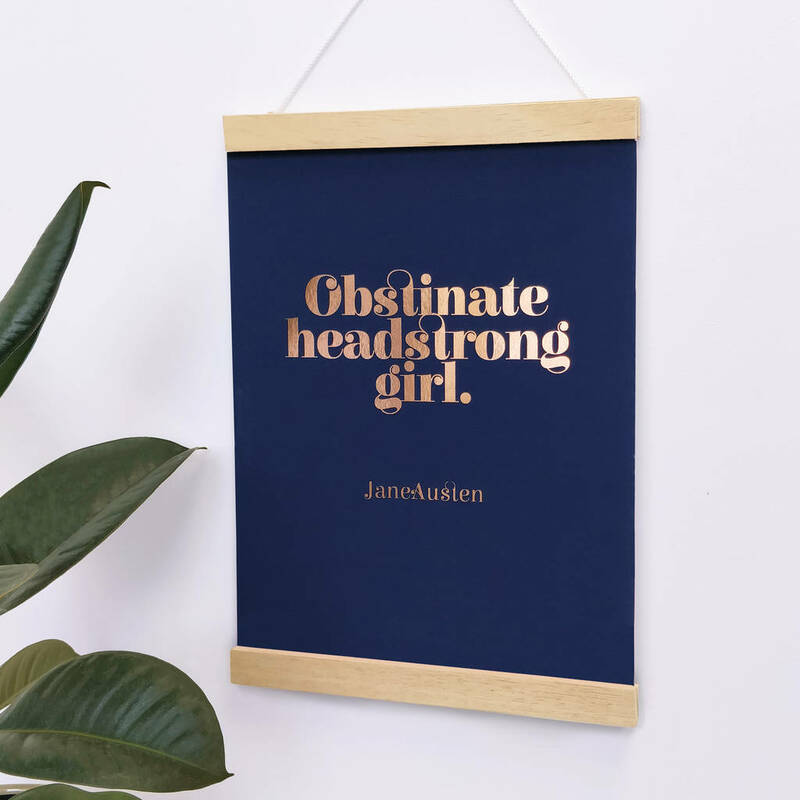 The print is available in pink with red text, navy with rose gold text or white with black text. 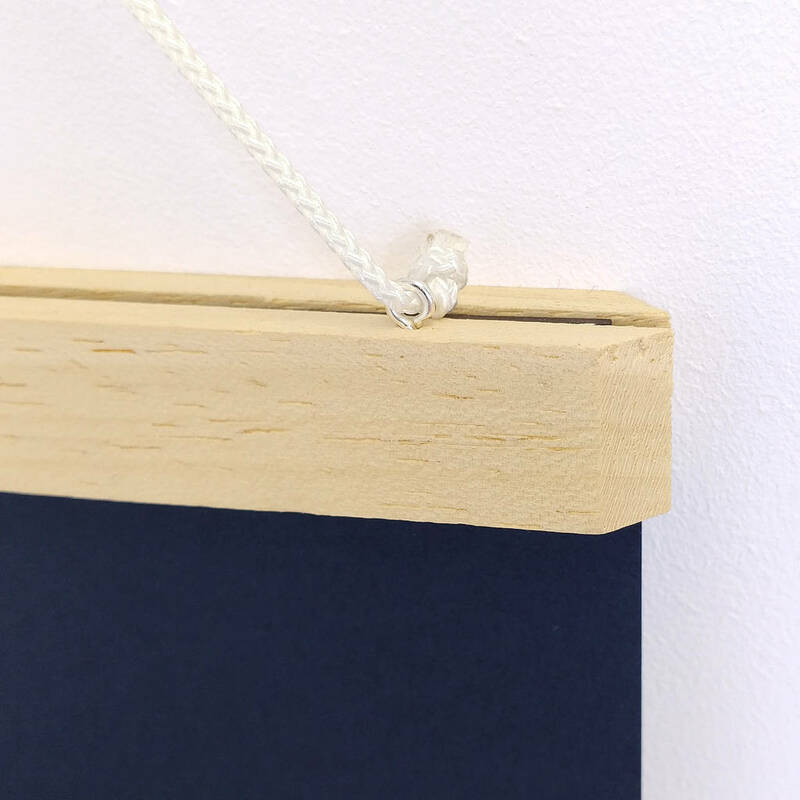 You can choose from A4 and A3, with or without the wooden poster hanger. Paper and ink. If you choose to have a poster hanger then it will come in the tube with your rolled print. 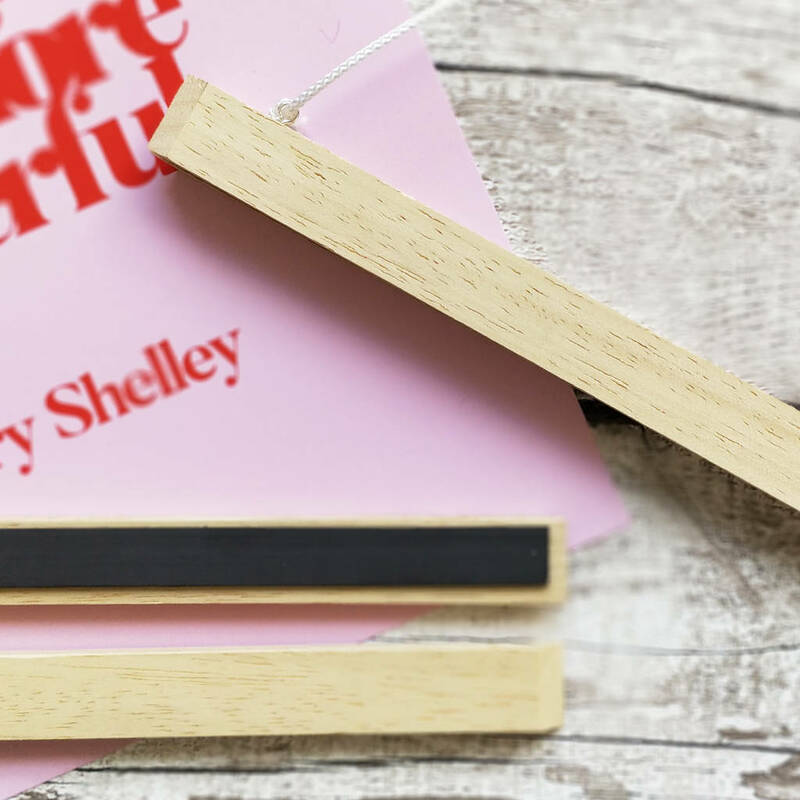 The wooden hangers are made of soft obeche, a solid natural uncoated wood, and are magnetic. They have a tapered egde and use silver hoops to attach the white string for hanging. (See close up photographs for examples). The hangers give the print a fresh, scandi style finish. 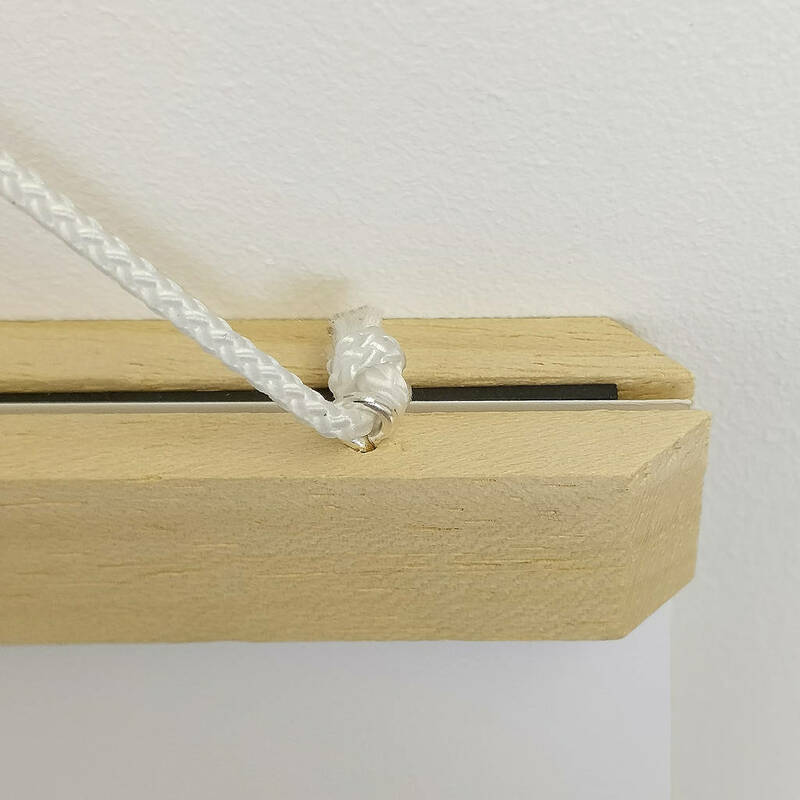 Wooden hangers measure 1.8cm wide, 0.6cm deep and comes in two lengths : 21 cm (A4) 30cm (A3). Prints measure H30cm x W21cm (A4) and H42cm x W30cm (A3). Wooden hangers measure 1.8cm wide, 0.6cm deep and comes in two lengths : 21 cm (A4) 30cm (A3).